Ever seen a Bald Eagle up close? Owls? Snakes? Reptiles? Oh my! Please join us Saturday, November 3 at 10 AM for this all ages event to see Ohio’s amazing wildlife with your own eyes. 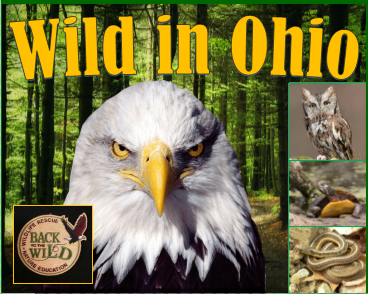 Presented by Back to the Wild, a wildlife rehabilitation and nature education center in Castalia, the Huron Library will host snakes, turtles, owls, hawks, and even a bald eagle for you to meet up close and personal. While having fun learning about these amazing animals, you will also hear easy ways YOU can make a difference for wildlife. Please register here.